Job boards are not obsolete; they are just changing with the times. If they were dead, then no new jobs would be showing up on them each day (and hundreds, if not thousands, of them clearly are). These boards and their databases still serve as a central repository for job opportunities and a talent pool for potential hiring mangers. Do not avoid them; use them wisely. Only apply for a job when your skills, background, and experience are a good fit. The Application Tracking Software (ATS) employed by most companies will filter out your resume immediately if it is not carefully worded and in line with the job description. Understanding how the various ATS applications work is an important part of the job search and realizing that you are not only dealing with human beings but also “robots” will help you to determine what roles to apply for and how to frame your resume for a particular role in order to pass through the automated filter into the hands of the decision makers. Don’t just sit back idly and wait for a response after you’ve submitted your resume. Allow for some time to pass (at most a week) and then follow up with the recruiter or the company. Be polite but persistent until they inform you of a decision. Most recruiters will not reply back to you with a negative response, only communicating if the response is positive. But to be sure, wait for a week and follow up via email or phone (as sometimes there are delays in the process on the client side). If the recruiter indicates the hiring manager is not interested in moving forward, but you still think you are a good fit, you may also apply online at the prospective employer’s web site (where available) or job board posting. Most companies also invite referrals from existing employees. It is therefore very important to stay connected and network within the industry in order to be positioned for a referral should a new role open up. You should not shy away from seeking referrals (many companies prefer to hire this way). A referral is a very potent tool and social media tools like LinkedIn and Facebook are a good way to stay connected, seek recommendations on your past work, and generate an online brand that will keep you at the forefront of your network’s collective mind for potential referrals. In other words, you want the people in your network to think of you first when a new role opens up so that they are ready to pass you along immediately. In summary, applying through job boards, no matter what you may hear, is not useless. However, keep in mind that most recruiters do not rely solely on job boards to find candidates. They now look for talented passive candidates via other means, including LinkedIn and various other online and offline networking portals. 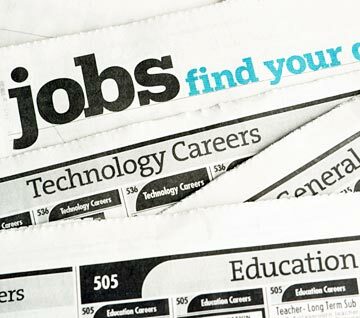 So don’t just depend on the job board; move and mingle in the industry and sooner or later the right job will be yours! This entry was posted on Thursday, October 18th, 2012 at 9:10 am	and is filed under job search, resume writing. You can follow any responses to this entry through the RSS 2.0 feed. You can leave a response, or trackback from your own site.